Cuisine at the Blair House Inn is taken seriously, and the inn’s expertise and dedication to cuisine translate into incredible culinary creations. From the fine dinners each Saturday to the gourmet, three-course breakfasts each morning down to the last detail in the afternoon desserts, their passion for food is clear. The cooking school at the Blair House Inn further demonstrates their dedication to cuisine, through a desire to equip more aspiring cooks with the skills required to be creative in the kitchen. In the Blair House Inn’s cooking school, you will find some of the best cooking classes around, both locally and statewide. See below to find out more about the cooking classes that the Blair House Inn offers! 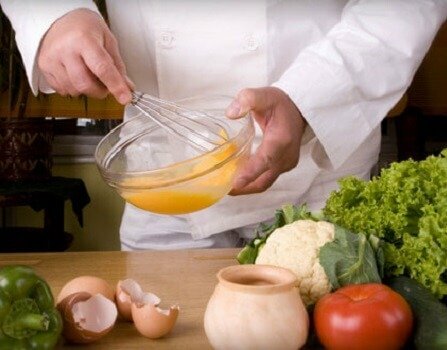 Which Is the Best Cooking Class For Me? Would you like to experience something you have never done before? Consider taking cooking classes during your stay at the Blair House Inn! We are proud to offer one of the top culinary schools in Texas, which has garnered recognition from the likes of “Food Network,” “Southern Living,” and “USA Today,” to name a few. Though you can expect a quality learning experience, you can also expect to have a lot of fun! The cooking school at the Blair House Inn is designed to build your confidence in the kitchen through learning various principles and techniques so that you can then experiment on your own. These skills include everything from knowing how to purchase and store fresh ingredients to preparation and presentation. 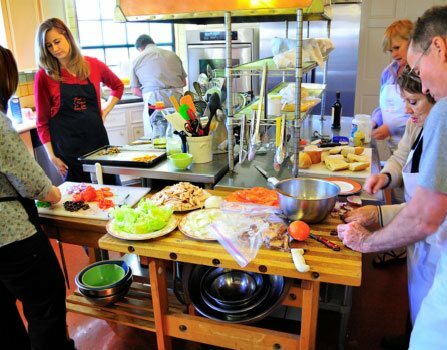 The Blair House Inn cooking school offers two-day and three-day cooking classes, depending upon your time constraints. Regardless of which you attend, it’s sure to be as enjoyable as it is informative, so grab an apron and bring your creativity (and appetite) to this acclaimed school! The two-day classes at the Blair House Inn cooking school are offered to accommodate those who do not have the time to attend the themed mid-week classes. They take place on Friday and Saturday, and participants have the opportunity to work one-on-one with the chef to prepare the delectable five-course Saturday Evening Dinner. Through the two-day class, you will learn a wide range of cooking techniques that can be used in any cuisine. To ensure that students get a one-on-one experience with the chef, the maximum number of participants in the two-day classes is two, and you have to book the class at least two weeks in advance. These group classes are available all year and present a variety of exciting cuisines combined with Hill Country flair. You’ll use the freshest of ingredients in the meals you prepare, primarily sourced from the inn’s herb garden and local farmers. Throughout the course of the three classes, you’ll have the opportunity to make two delicious breakfasts, lunches, and dinners. Afterward, you and your classmates will enjoy the flavorful dishes you’ve prepared in the dining room, complete with wine. For a schedule of upcoming three-day classes and themes, an overview of what you can expect each day during the classes, and more, see our three-day class page. Our cooking school is a great way to experience local flavor and improve your skills in the kitchen, all while having an enjoyable and relaxing vacation. Indulge in all culinary aspects of the Blair House Inn during your stay. Enjoy a gourmet breakfast each morning and homemade desserts with a complimentary beverage weekday evenings. Complete the experience with top-notch cooking classes or a picnic basket carefully prepared by the in-house chef. Though cuisine is certainly a large part of the experience at the Blair House Inn, several other elements set us apart. We have a luxurious spa on site where your stress will melt away through soothing massages. 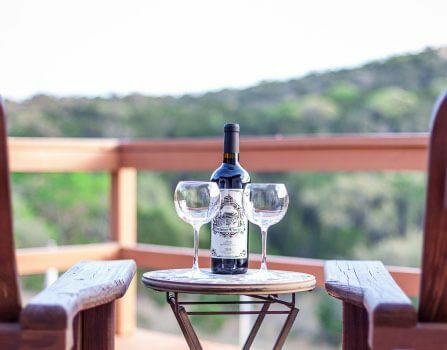 If you’d prefer to relax outdoors, our custom-designed pool enjoys lovely views of the surrounding Hill Country, and there are walking trails on our property. 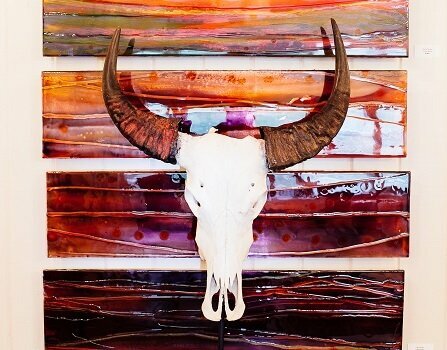 These aspects of our inn are evident in each of our elegant rooms, from the dessert brought to your room each evening to the local art on the walls and the relaxing environment. This includes spacious, comfortable beds, romantic fireplaces, whirlpool tubs, lovely views of the surrounding country, and so much more. 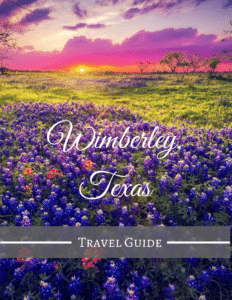 Be sure to browse all our accommodations, and book your culinary retreat in the beautiful Texas Hill Country today!